Lawachhara National Park (Bengali: লাউয়াছড়া) is a major national park and nature reserve in Bangladesh. The park is located at Kamalganj Upazila, Moulvibazar District in the northeastern region of the country. It is located within the 2,740 ha (27.4 km2) West Bhanugach Reserved Forest. Lawachhara was one of the filming sites of the 1956 movie Around the World in 80 Days. 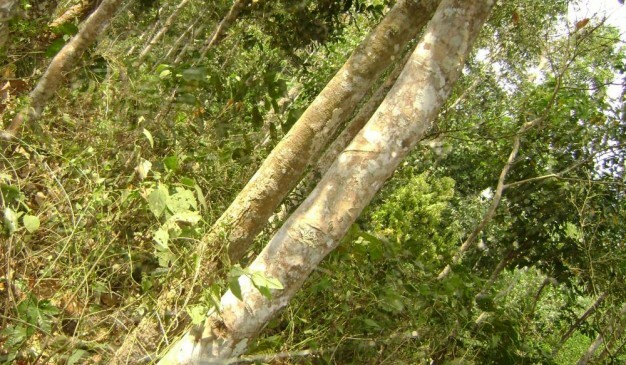 Lawachhara National Park covers approximately 1,250 ha (12.5 km2) of semi-evergreen forests of the Tropical and subtropical coniferous forests Biome and mixed deciduous forests of the Tropical and subtropical moist broadleaf forests Biome. The land was declared a national park by the Bangladesh government on July 7, 1996 under the Wildlife Act of 1974. The terrain of Lawachhara is undulating with scattered 10 to 50 m (33 to 164 ft.) hillocks. Locally known as tila, the hillocks are primarily composed of Upper Tertiary soft sandstone. The park is crossed by numerous sandy-bedded streams (locally known as nallah), one of which is the Lawachhara tributary, from which the park derived its name. The soil of Lawachhara is alluvial brown sandy clay loam to clay loam dating from the Pliocene epoch. Shallow depressions filled with water (Haor wetlands) are also a feature of the region as the low-lying areas are often subject to flooding. The climate of Lawachhara is generally pleasant to warm, averaging at 26.8 °C (80.2 °F) in February to 36.1 °C (97.0 °F) in June. The humidity is high throughout the year, and Lawachhara experiences frequent rains with occasional cyclonic storms. The Park is situated at Kamalganj Upazila, Moulvibazar District in the northeastern province of Bangladesh. It is 9.4 km away from Sreemangal. After reaching at Sreemangal, take CNG to reach that park at Sreemangal-Bhanugach road. You can reach to Moulvibazar from Dhaka only via bus directly. If you want to travel by train, you need to get off at Sreemangal station. Then you need to take a local bus or CNG to reach Moulvibazar. In case, you would like to fly to Moulvibazar, you have to reach sylhet first, then you can take a direct bus to Moulvibazar. You will find the above bus operators from Malibag Rail-gate, Razarbag or Sayedabad bus stand. These services are available from 6:30 am to 11:30 pm. 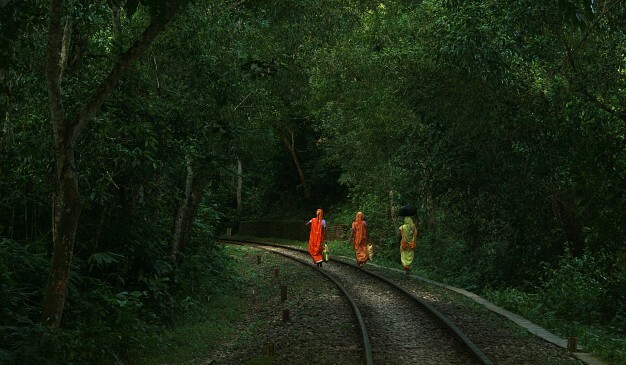 There are four train services from Dhaka to Sylhet. 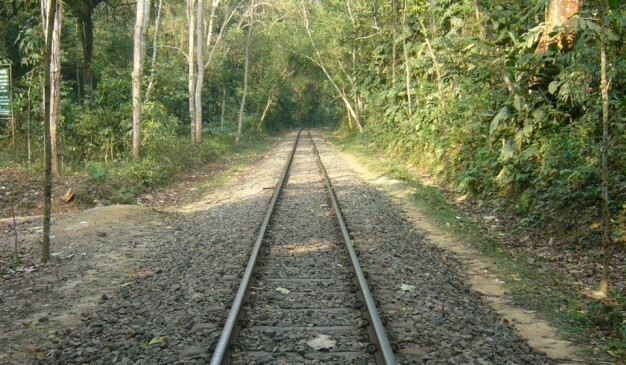 You can ride on these trains and get off at Sreemangal Station to head to Moulvibazar. They are Joyontika, Parabat and Upoban depart at morning, noon and evening. There is a new train named Kalini depart at afternoon from Dhaka. It takes 7-8 hours to reach sylhet. The ticket price to Sreemangal is around 225 for shovon-chair & it gets up to 512 taka for 1st class AC. Address: Saifur Rahman Road, Moulvibazar. 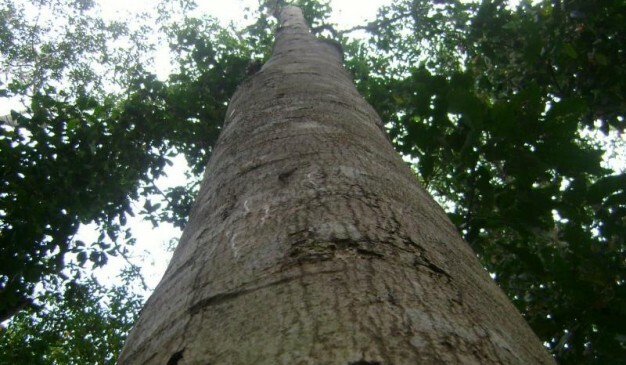 It is the biggest rain forest in Bangladesh. 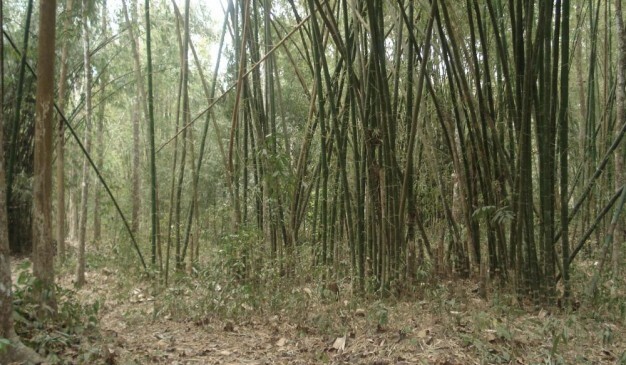 A number of species are living in this forest. 1. You can enjoy variety of species in the Lawachhara National Park. There are 460 species, among them 167 species are plants, amphibian species 4, 6 of them are reptile species, 246 bird species which are majority and rest are 20 mammal species. 2. For an extensive adventure, you can always go for a big year (Bird safari) for the 246 species of birds. 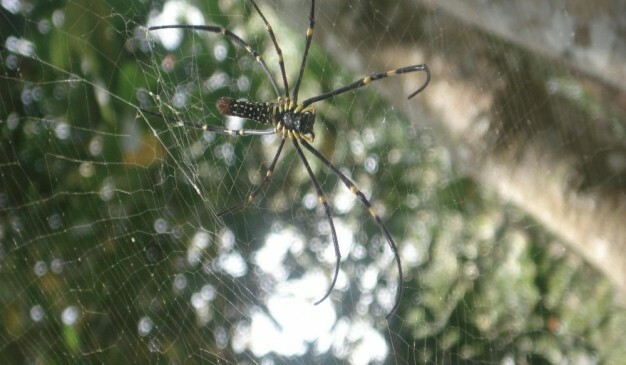 Best Time to Visit 01-Nov to 31-March to enjoy the best of this vast rain forest. 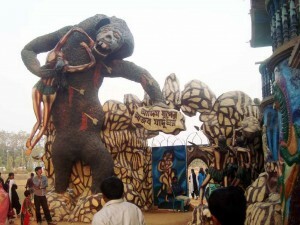 Shopnopuri is a great Amusement Park which is situated at Aftabganj of Nababganj in the district of Dinajpur. This a theme park which covers an area of 920 acre. You will need to buy ticket to enter inside the park. Dhaka (Capital of Bangladesh) to Dinajpur by bus will take about 9-11 hours. 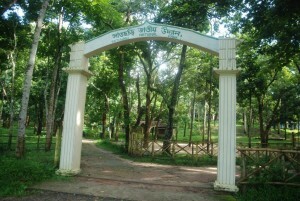 Shopnopuri is one of the most beautiful artificial picnic spot in Bangladesh especially in North Bangle. You can go there either from Hill or from Dinajpur. There you can enjoy here by watching artificial beauty. One can spend night also In Shoponopuri rest house but for that he/ she will have to book in advance. Here lots of picnic parties come every day. The entry fee of Shaopnopuri theme park is 20 taka per person. At the gate, two statue of angels are waiting to welcome you. This park is divided into some parts. After entering Shopnopuri, you can go to “Fish World”. Its ticket fee is only 5 taka per person. Inside the “Fish World”, you can see artificial water plants, fished and various water animals. After visiting fish world, you can go to “Animal Kingdom”. Entry fee 5 taka per person. Here you can see artificial statue of some animals like Amu, Flamingo, Dinosaur, Pegasus etc. This part is great for kids. “Rongdhony Art Gallery” is another beautiful part of Shorpopuri. You can see here, many different kinds of sculptures and paintings. Entry fee 5 taka per person. “Moha Maya Indrojal” is another part of Shopnopuri. Here you can enjoy magic. Entry fee 5 taka per person. "Hala Boter Tall" is one of the legend place of the district. 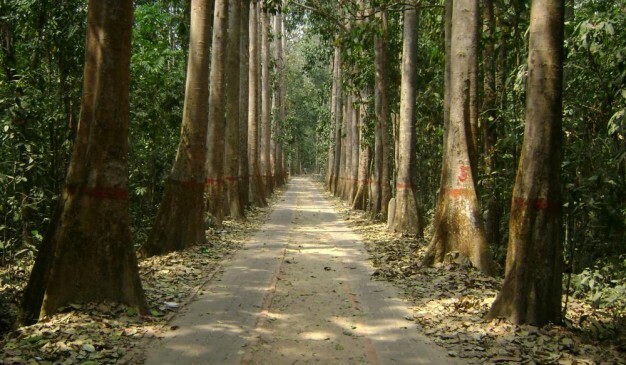 Almost a half-acre of land across a wide range of very ancient banyan tree near Kulaghat, Lalmonirhat. People says that, banyan tree is at least 130 years of age. The field of Eidgah under that tree is older than it. In Pakistan period (1951-5 to khristabde) Fakir Pir was brought from jaunopur by the local khati fakir for certain. Pir Sahib was sitting in the trees below. A well was dag For the People coming to the field for oju. Being lack of water Due to the difficulties oju, Pir (saint) Sahib told to give a vessel of water to the well. The lack of water was then removed and never happened. It was also less than the time before the end of the distribution concerns khicuri Pir saheb give cover of the Pipkins. According to his instructions to remove the lid a little after the start of the khicuri distribution. At the end of the distribution of the khicuri few neighboring villages’ people who didn’t come to hear is also possible to send them. Pir Sahib was to go, but the place of speech was considered to be a holy place to people, people see with special respect towards the banyan tree too. After Bangladesh won its independence it spared. Every Friday still a lot of people from different places come here to be seen Manat. Satchari National Park, a total area of 243 hectare, is located in Habiganj, 55 km south-west of Sreemangal Upazila. Though it is less popular than Lawachhara rain forest, it has a higher diversity of plants and animals and far less human disturbance. There are seven streams; the origin of the name “Satchari” came from these seven streams. A fair number of hillock gibbons, fishing cats, jungle fowl, pygmy woodpeckers and adaptive pied hornbills are the major features of this park. Mymensingh (ময়মনসিংহ), situated beside the Brahmaputra river was formerly called as Nasirabad. It is a city in Mymensingh District in central region of Bangladesh. This city is clearly marked by the old Brahmaputra river flowing along its north. Shambhuganj (শম্ভুগঞ্জ) is situated on the other side of the Brahmaputra, connected by the Shambhuganj Bridge. From the very beginning of the urbanization of this city, it was enriched with many features that made this city fulfilled. 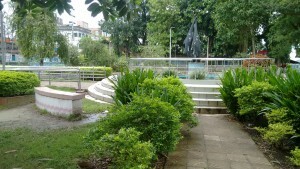 Bepin Park (বিপিন পার্ক) is one of the well known features among those. 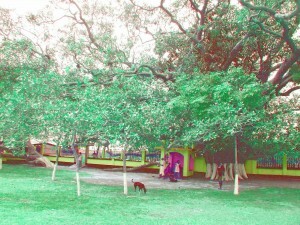 Bepin Park (বিপিন পার্ক) is a common place to go around in Mymensingh City, very close to Brahmaputra River. It is a small park near Bara Bazaar area, built as a recreation center for child, youths and age old people. Sitting in the brick benches inside the park an explorer can get the whole view of Brahmaputra river. From the dawn to dusk it is open for all visitors. This park owns so many rides for kids which has made this park unique from others. Besides, it also has sitting arrangement for public. To enhance the beauty of city, Bepin Park was first Inaugurated by DC M Sayful Islam on 1st January, 1980. Later, its beauty was developed & Inaugurated by the city Mayor Ikramul Haque Titu. A lot of people come here everyday with Child and senior members for wondering around and refreshment.